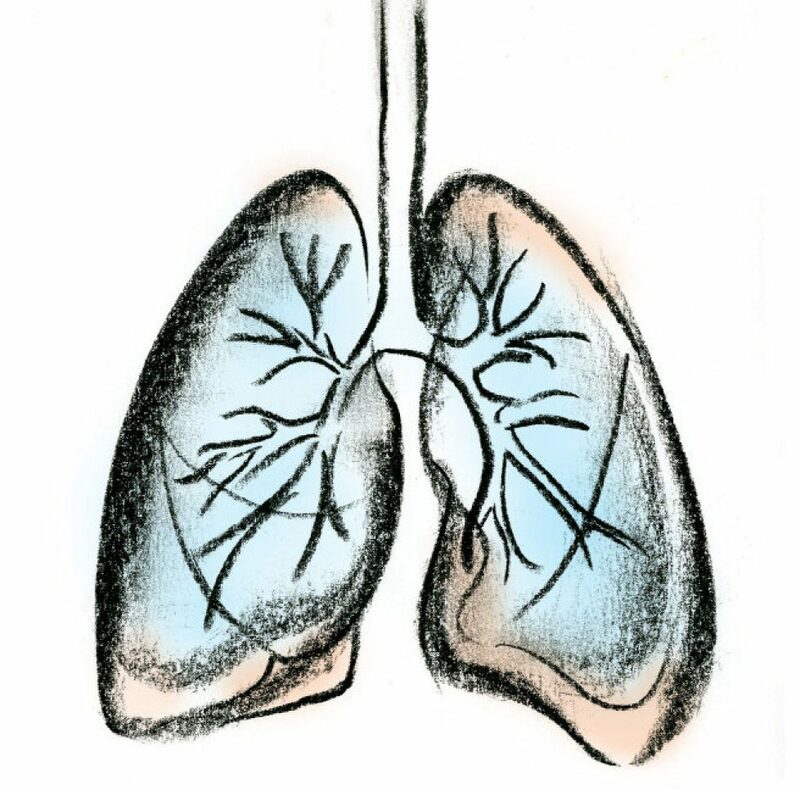 Pulmonary System– In people with Cystic Fibrosis, there is a vast overproduction of thick, sticky mucus which clogs the lungs. Regularly mucus is beneficial to a person without CF, but when CF comes into play and thickens that mucus vastly it then becomes detrimental. It clogs up the lungs making it difficult to breath, the sound of lungs clogged with said mucus make a sound which causes what is known as “wheezing.” It also creates an extremely violent cough, in the body’s attempt to expel the viscous mucus that congregates. All of these symptoms allow for the increased environmental precursor’s that in turn breed bacteria, trap germs, and leads to repeated and increasingly worse infections. Most people with CF end up dying because of repeated lung/chest infections, that can also be accompanied by or lead to pneumonia. A term most people are familiar with is COPD or chronic obstructive pulmonary disorder, this is a blanket term for things like asthma, bad allergies, or in worse cases things like bronchitis, and pneumonia. Cystic Fibrosis would also qualify as a COPD, however it is usually much more severe than what the average person knows COPD to be.